Based on my brief investigation after this morning's severe storm (and I am most certainly not a damage survey expert) the damage began with some large, round hay bales moved around in a field SW of the L. Horn farm on CR 2320. The Horn farmstead sustained light damage to trees, a small shed and the porch on the NW side of the house. 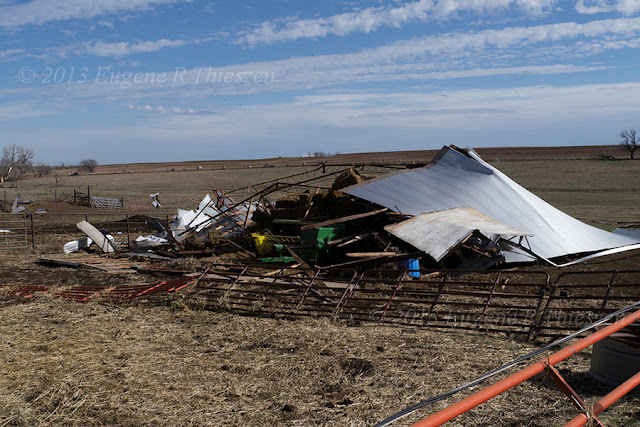 This narrow track of damage continued NE destroying a small garden shed on a farmyard on the S side of the Corn Road (CR 113). The fence-line N of the road was full of small pieces of debris. The Penner farmstead N of the road sustained the most extensive damage - a destroyed silo, a garage which lost its roof etc. 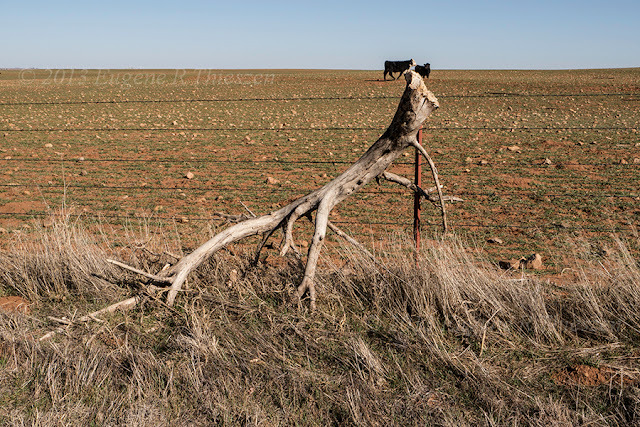 Debris was mostly scattered NE of this farm although there was some E and even SE. 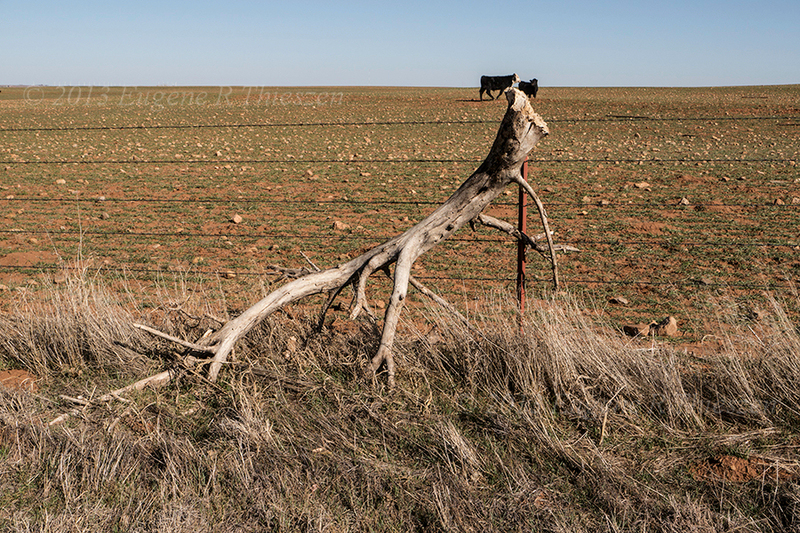 The fence-line ENE was filled with pieces of twisted, corrugated roof sheets. 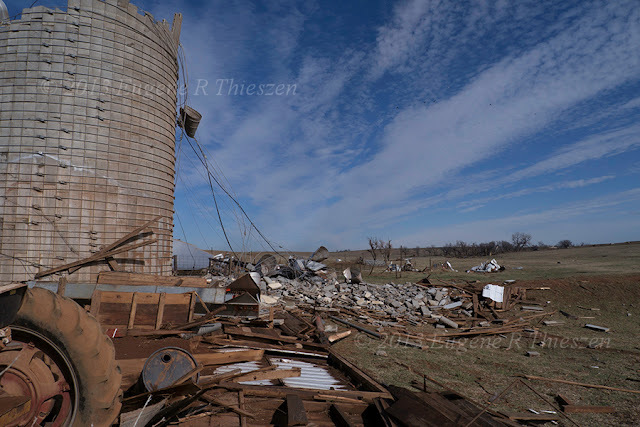 Damaged silo and debris on Penner farm W of Corn. Destroyed machinery shed on Penner farm. Note debris on fence-line in the background. 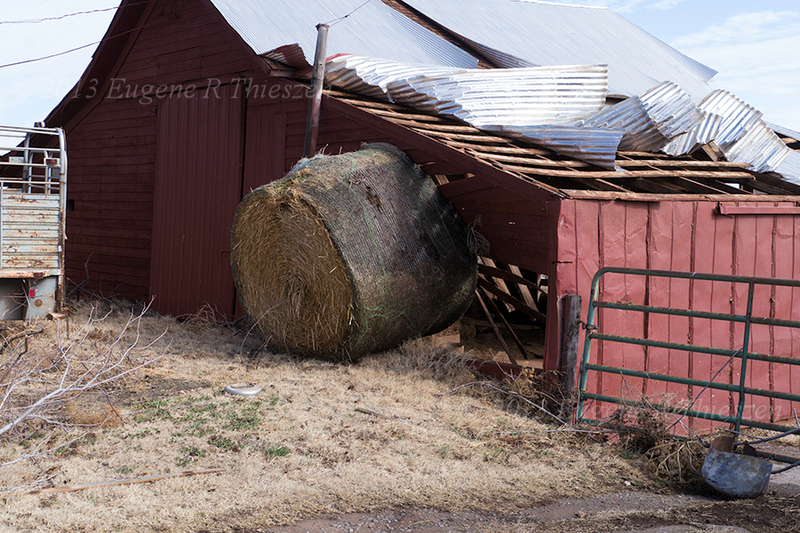 Hay bale slammed into shed on Penner farm. Note the curled roofing sheets as well. This branch from a dead tree, about 5-6 inches thick at the base and approximately 6 feet long was lodged in the fence on the E side of CR 2330. The fence is at least 1/2 mile from the nearest damaged trees and there are several obstacles such as fence lines between those trees and this location so this piece of debris was obviously lofted by the wind. About 1/2 mile further NE another farmstead suffered a damaged shed with debris to the NE, E and SE. The Nickel farmstead on CR 2350 more or less on the same line of sight, also had some damage to a small outbuilding. In what appears to have been a separate wind event, some sheds on the Funk farm on CR 2330 were damaged/destroyed with the debris scattered in the fields to the SE of the farmstead. These two events show signs of being tornadic, though not conclusive - a narrow debris field immediately downwind with some debris scattered all directions as far as 1/2 mile from the structures destroyed. However, I don't have enough experience at damage survey to speak definitively. 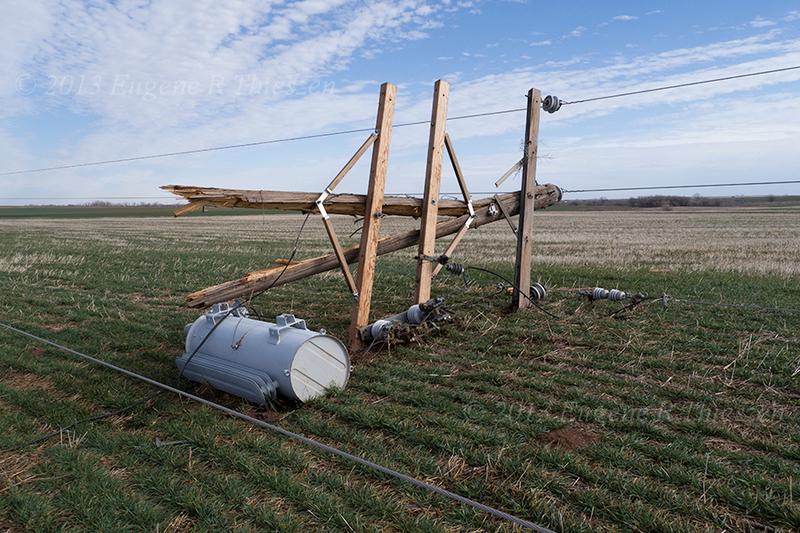 Along CR 2340 about 1/2 mile of power-line was brought down - some poles snapped at various heights, others just leaning. The line fell E. It would seem this event at least, was strong, straight-line wind. Great summery of damage. Very quick.